And I’ll be honest. I’d much rather cure myself with natural compounds than ones that are manmade. In fact, one of my favorite natural remedies is turmeric, which contains a powerful anti-inflammatory compound called curcumin. It’s often called the “spice of life”. And for good reason! It has a very long history of medicinal use, dating back nearly 4000 years. Some traditional uses of curcumin-rich turmeric include using it to treat arthritis, digestive complaints, liver disorders and inflammation. It also has antibiotic and antibacterial properties, and has a long history in wound-healing. Shut down pain, stiffness and inflammation by blocking enzymes that produce pain. Delay, and potentially prevent, memory loss by helping clear out the amyloid plaques that are common in Alzheimer’s disease. Reduce diabetic complications and improve the overall function of beta cells, which are necessary for proper insulin function. Offer great promise in the fight against cancer. Research suggests turmeric can suppress tumor initiation and reduce the spread of cancer to other parts of the body. Boost your mood and reduce symptoms of depression. Ginger has been used since ancient times as a traditional remedy for gastrointestinal complaints. And it is still very well-known for its effect on almost any type of digestive issue – from heartburn to peptic ulcers and acid reflux. Ginger’s stomach-soothing effects are so powerful that it can even offset the nausea and vomiting associated with chemotherapy. But the health effects of ginger don’t stop with your digestive tract. It’s also a powerful anti-inflammatory that can relieve pain, stiffness and muscle aches brought about due to arthritis or excess exercise. It can even help decrease the severity of migraine headaches in just about two hours. All it takes is a quarter-teaspoon of ginger powder at the onset of the migraine. Better yet, it works just as quickly and efficiently as sumatriptan – without the side effects. To top things off, ginger appears to be very effective in cutting the risk of gastric, pancreatic, liver and colon cancers. For example, in patients with a high risk of colon cancer, just 2 grams of ginger daily – about what you would find in a heaping teaspoon –for 28 days can reduce the spread of potential cancer cells… even kill them off. It also helps suppress the spread of cells in other cancers, like those of the skin, ovaries, breast, prostate and brain. Next on the list is cinnamon, the winter spice that goes into some of my favorite holiday foods. Just 6 grams of this oriental spice (just under a tablespoon) can cut your blood sugar levels by almost third. It also slashes triglycerides and LDL by about the same. 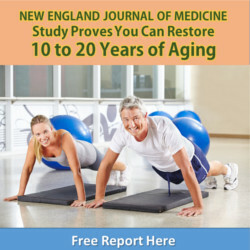 This is great news if you’re diabetic, pre-diabetic or suffering from metabolic syndrome. It means cinnamon can help protect you from diabetes-related cardiovascular risks. And since people with diabetes have a higher than average risk of having a heart attack, this gives cinnamon an important role in your life. But the good news doesn’t stop there. The compounds in cinnamon may also help ward off Alzheimer’s disease. It could even alleviate existing Alzheimer’s symptoms. That’s because cinnamon appears to block tau filaments, which are associated with Alzheimer’s. In fact, it’s even been shown to disassemble the filaments, thus reversing the cell damage. But don’t stop there! 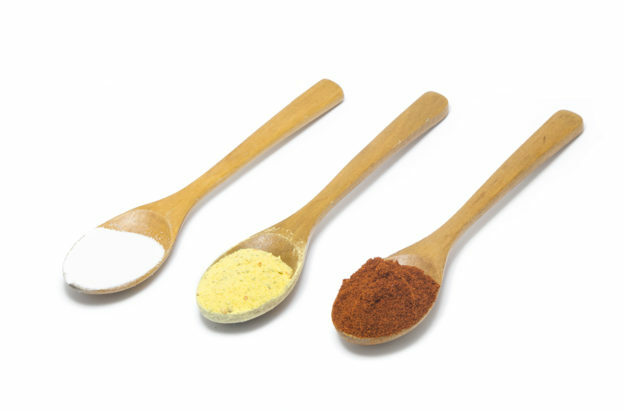 These are only three of my favorite spices to promote health and longevity. However, they are by no means the only ones that provide health benefits. Parsley, cloves, thyme, basil, saffron, rosemary and even garlic all have a place on your spice rack. Use them liberally… and enjoy the results! Prasad S, et al. Turmeric, the Golden Spice: From Traditional Medicine to Modern Medicine. In: Benzie IFF, Wachtel-Galor S, editors. Herbal Medicine: Biomolecular and Clinical Aspects. 2nd edition. Boca Raton (FL): CRC Press/Taylor & Francis; 2011. Chapter 13. Masoumi A. 1α,25-dihydroxyvitamin D3 Interacts with Curcuminoids to Stimulate Amyloid-β Clearance by Macrophages of Alzheimer’s Disease Patients. Journal of Alzheimer’s Disease.2009;17:703-717. Aggarwal BB, et al. Anticancer potential of curcumin: preclinical and clinical studies. Anticancer Res. 2003 Jan-Feb;23(1A):363-98. Chuengsamarn S, et al. Curcumin extract for prevention of type 2 diabetes. Diabetes Care. 2012 Nov;35(11):2121-7. Zhang D, et al. Curcumin and Diabetes: A Systematic Review. Evid Based Complement Alternat Med. 2013; 2013: 636053. Sanmukhani J, et al. Efficacy and safety of curcumin in major depressive disorder: a randomized controlled trial. Phytother Res. 2014 Apr;28(4):579-85. Ryan JL, et al. Ginger (Zingiber officinale) reduces acute chemotherapy-induced nausea: A URCC CCOP study of 576 patients. Support Care Cancer. 2012 Jul; 20(7): 1479–1489. Bartels EM, et al. Efficacy and safety of ginger in osteoarthritis patients: a meta-analysis of randomized placebo-controlled trials. Osteoarthritis Cartilage. 2015 Jan;23(1):13-21. Black CD, et al. Ginger (Zingiber officinale) reduces muscle pain caused by eccentric exercise. J Pain. 2010 Sep;11(9):894-903. Maghbooli M, et al. Comparison between the efficacy of ginger and sumatriptan in the ablative treatment of the common migraine. Phytother Res. 2014 Mar;28(3):412-5. Prasad S, et al. Ginger and Its Constituents: Role in Prevention and Treatment of Gastrointestinal Cancer. Gastroenterol Res Pract. 2015; 2015: 142979. Citronberg J, et al. Effects of Ginger Supplementation on Cell Cycle Biomarkers in the Normal-Appearing Colonic Mucosa of Patients at Increased Risk for Colorectal Cancer: Results from a Pilot, Randomized, Controlled Trial. Cancer Prev Res (Phila). 2013 Apr; 6(4): 271–281. Peterson, D.W, et al. Cinnamon extract inhibits tau aggregation associated with Alzheimer’s Disease in vitro. Journal of Alzheimer’s Disease. 2009;17(3):585-597.